It’s time to Ice Ice Baby cause LBB Specials is hosting one of a kind popsicle week and it’s synomn for awesomeness. You can find everything from fruity popsicles to boozy ones at a steal deal at this popsicle week. Six or sixty, there’s something for all of you at this popsicle week without you wanting to step out of your comfort zone. The weather has been quite unpredictable, one day you are drenched in sweat and the other day in the rain. 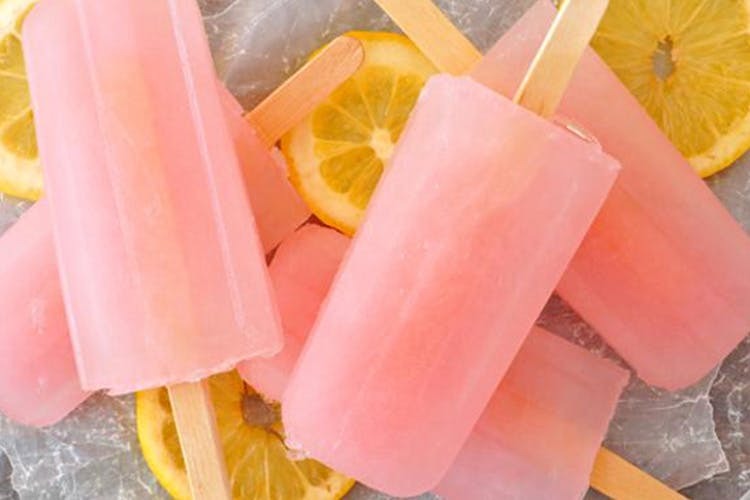 Take a day off, sit back & let these delish popsicles instantly up your mood. Let us warn you right away, you’ll be spoilt for choices as everything you love sipping on will have a popsicle avatar to it. The fruit popsicles are perfect for you to start your day with as they are healthy & low on calories. If you are a caffeine addict, let the tea & coffee popsicle refresh you! Want to drink but not party? No problem! Call these boozy popsicles home and they’ll give you the right kind of happy high you deserve! They have options like a tequila sunrise, sangria, rose wine, Nutella creme, pink lemonade and more. It’s raining popsicles at LBB specials, you can expect different exotic flavoured popsicles, cakesicle and ice creams starting June 23 till June 30. Stay tuned to this space for more information.